Happy 2013! This will be the year of hunkering down and actually getting as much done with as little as possible. This means, the breakfast nook is getting stripped, painted and cozied up a bit. Also the year that Josh sorts out and organizes his garage space (so my jeep can fit snugly inside), and the year we tackle the back yard. We’re also aiming to demolish our remaining debts this year. School loans, watch out (God willing & self-discipline prevailing). To wrap up what I left hanging in my last post (yeah, yeah… a long while ago.) If you’re a regular reader of this blog you should be well aware of our posting habits – they’re irregular. 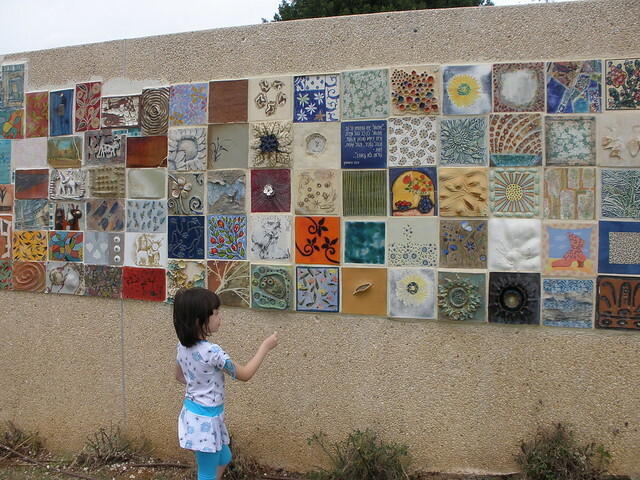 Regarding the neighborhood and the wall, the best has come of it. No, there is no mural currently on the wall, we “lost” that battle. However, the best of the bright sides have occurred. Our street is talking. We know our neighbors, not by their house, but by their names. We’re actually coordinating things together and pulling together as neighbors are supposed to do. We’re laughing together. We’re bemoaning our pitiful neighborhood association together. We’re dreaming of the potential our fair street has, together. All in all, it was well worth the mural debacle. It’s exciting really, and there’s such a difference in neighbors than friends from other walks of life. They “get it.” They get what it’s like living here – the pros and the cons and get the passion to want to make it better. Air plants, succulents, something hearty that could survive lots of wind – but how cool is this? 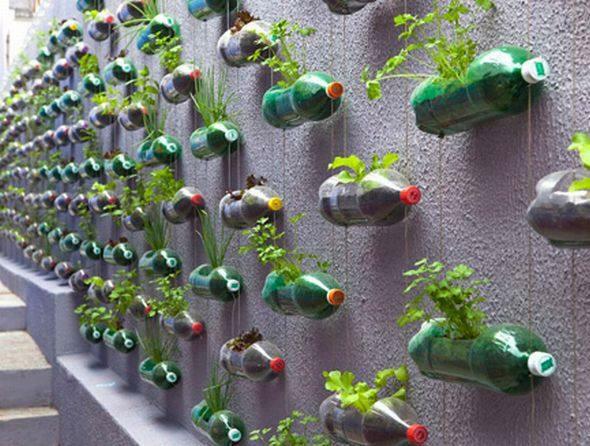 Such a clever, pretty and unique solution to an ugly wall. 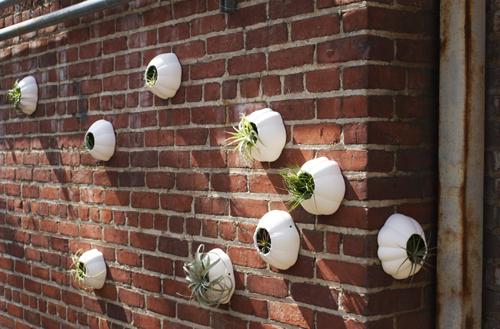 Air plants in ceramic pods – they only need the moisture from the air to live. Moss graffiti – I sincerely contemplated doing this. . .
More moss graffiti. Sadly it has to be watered everyday in the beginning stages. Once it’s grown, it is a little easier to maintain. Ha! Just kidding. I mean, at least the design wasn’t chaotic like this. How about just a full out moss wall, or rocks that we let moss grow on. Pretty. Natural. Found object mural, the artist Jo Braun uses everything from rocks to keys to broken glass. Love. I know, it’s probably to technicolor for some people, but envision the style in whatever color works for you.